The Best Pest Control Services Available! Just in Florida alone has some of the most interesting home and business pest, but once these insects invade your home or business, it’s time to call a professional! Most common are ants, termites, roaches, spiders, rats, mice, fleas, ticks, and many other insects are found on this site, along with recommendations on local pest control services in your area. Bug N You understands that when it comes to professional pest control, the job should be done right the first time. We work with our team of companies that focus on pest prevention. 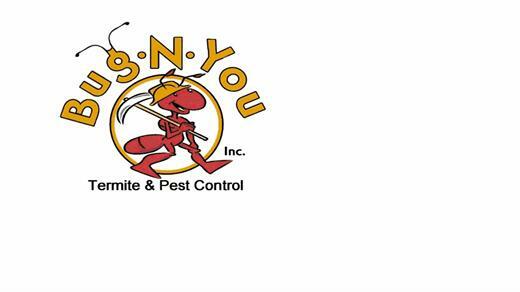 Bug N You services the Northeast Florida area and offers a national referral service to give you the most professional pest control companies in your area. We understand the importance of timely, specialized service, utilizing technicians that receive ongoing and advanced training on the newest developments in the industry. If you are looking for information on bugs and pest control companies in your area, then you have found the right place on the web! We offer detailed information on bugs that are found all over the United States, but especially on insects located in Florida; the bug’s tropical paradise. Pest control is very important when you consider that there are over 1 million different known species of insects in the world. Spend a little time reviewing the species in your state and discover that when it comes to protecting your landscape, home or business from bugs, ants, termites, and other pests, we are the pest control experts!